Despite Modi highlighting South Asia’s problems at the SAARC summit, SAARC fails to progress. This year’s long-awaited South Asian Association for Regional Cooperation (SAARC) meeting kicked off in Kathmandu, Nepal on Wednesday. This year’s summit is Indian Prime Minister Narendra Modi’s first SAARC meeting and it has been eagerly anticipated. This is because Modi and other South Asian regional leaders have been pushing to make SAARC actually relevant by advocating for regional cooperation and trade. Today, less than 5 percent of the region’s global trade takes place between us. Even at this modest level, less than 10 percent of the region’s internal trade takes place under SAARC Free Trade Area. Indian companies are investing billions abroad, but less than 1 percent flows into our region. It is still harder to travel within our region than to Bangkok or Singapore; and, more expensive to speak to each other. South Asia, in other words, is facing a major problem with integration, despite the obvious economic benefits of doing so and the lack of cultural barriers to doing so. Modi argued that “we can all choose our paths to our destinations. But, when we join our hands and walk in step, the path becomes easier, the journey quicker and the destination closer.” Still, South Asian integration has so far moved forward very little at this year’s SAARC meeting. An agreement that would have guaranteed greater connectivity between South Asian nations was stalled by Pakistan for technical reasons, but the writing on the wall is clear. Pakistan is seen as the main country harming South Asian integration. Sri Lanka, Nepal, and Bangladesh strongly supported greater regional connectivity. Modi warned South Asian countries that regional integration would occur “through SAARC or outside it,” meaning that unless the region united as a single trade bloc, the region would unite through individual countries trading with China. This would hurt the region’s chances of taking a coherent, united position on various regional issues vis-à-vis China or other countries, like ASEAN has. The extent to which China ought to be integrated in SAARC has loomed over the summit so far, with countries like Sri Lanka and Pakistan pushing for more Chinese influence at SAARC. However, it would be ridiculous if China joined SAARC and would cause the organization to lose its sense of purpose as it is intended for South Asian problems. Perhaps this is Pakistan’s intention. It is clear that India and other SAARC countries should consider a “small” SAARC model of integration, one that moves forward with regional connectivity without Pakistan if it is unwilling to integrate further with its neighbors. This would be better than simply not signing important agreements because of one country’s obstruction. Ultimately, however, for the region to function, Pakistan and India have to come to some sort of accommodation. Modi and Pakistani Prime Minister Nawaz Sharif have been unable to even talk so far at the SAARC summit. 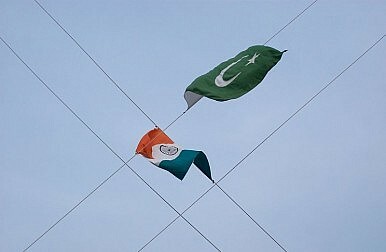 Recently, India cancelled talks with Pakistan over Kashmir after Pakistan refused to stop talking with Kashmiri separatists. Yet it is hard to have meaningful discussions when the Pakistani military establishment is inherently opposed to actually resolving its problems with India, however much civilian politicians wish to do that. Barring better Indo-Pakistani ties, SAARC and the region’s only options are a “small” SAARC or the failure of SAARC to be meaningful. India may not be able to compete with China all over Asia, but it still has a chance at remaining the sole regional hegemon in South Asia if it commits to pushing integration and cooperation between South Asian countries no matter what. It is to be hoped that the next couple of days at the SAARC summit will be more fruitful.